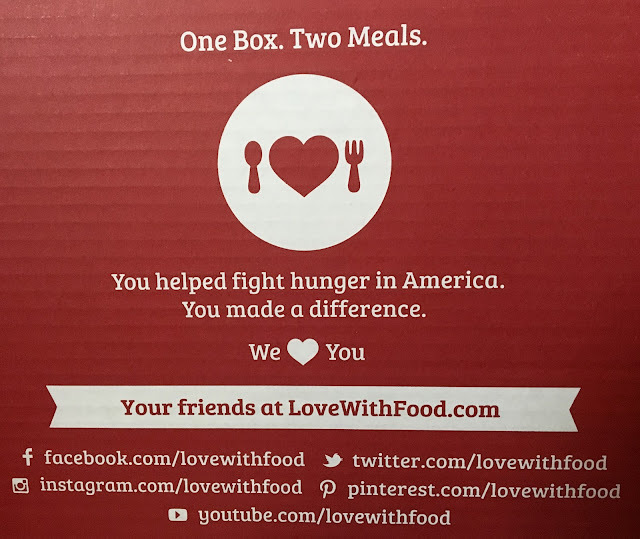 Love with Food is not a dedicated gluten-free subscription service, but its gluten-free boxes do contain all certified gluten-free products. A typical box includes 8-12 products, ranging in size from full packages to snack-size portions. Pricing information can be found here. Check out this video for a quick overview! Another really cool thing about Love With Food is that each box bought equals a meal donated to food banks across the United States. That's right, not only will you get a monthly gluten-free surprise, but your box makes a real impact in the real world. The Enjoy Life Food box is unique, because it features one brand exclusively. "Regular" boxes contain a variety of brands' products. Since I am familiar with Enjoy Life Foods' line up of allergen-free fare, I liked the variety of sizing and flavors included, especially the mountain mambo sand and fruit mix (my favorite Enjoy Life product besides chocolate chunks). To learn more about this exclusive box, click here. Enter to win a Enjoy Life Foods Love With Food box of your very own! Find more details right here. Disclaimer: This review is current to the original publication date. Updates will be noted. Ingredients and manufacturing processes can change without notice. Each product should be reviewed for individual nutritional needs. Feel free to to contact me with any questions or comments. Love With Food and Enjoy Life Foods sent me samples free of charge for review purposes, but the review is a reflection of my personal opinion. Hi just discovered your blog. Lots of helpful info. I love Love with food I have noticed lately several of the gf boxes had tons of vegan options too. I'm no longer dairy free but still eat most meals with out dairy too. We have a lot in common I'm a gf blogger too but in CA.